Are you a movie buff? If so, you probably like to keep up with all the latest happenings in the movie world at all times. You want all of that critical information about what is happening in Hollywood to be at your fingertips whenever you need it. You want showtimes, trailers, cast and crew information, and everything else in the blink of an eye. Sure, you can get most of this information by searching the web, but with the magic of applications, there is an easier way. Fandango, the website best known for selling tickets to movies in advance so you don’t miss a show, has an incredibly feature-rich iPhone application. It literally does almost anything you could imagine as far as movies go. It comes with a slick interface that is incredibly easy to use. 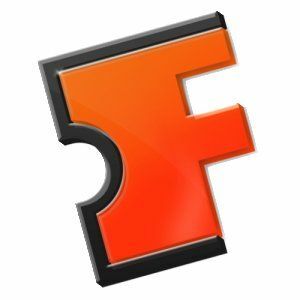 If you need one app that can handle all of your movie needs, Fandango is the application for you. Best of all, the app is 100% free on the App Store, so there is no need to shell out money (unless you use it to buy tickets, of course). So let’s get the obvious one out of the way first – yes, you can buy tickets to movies using the Fandango iPhone app. It just would not be Fandango if you couldn’t. Along with that, you can check movie showtimes in your area. This is obviously important; it’s hard to see a movie if you don’t know when the movie is playing. Those are the core Fandango features, and they work exactly as advertised, but it’s the extra features and the way it organizes movies and showtimes that make the Fandango app really cool. For one thing, the movies tab shows you all the movies playing and ranks them based on popularity, which is a great way to pick a movie if you don’t have something specific in mind. It also has a feature that Fandango calls “GoNow“. With this, you can see all movies playing in the next hour, so you can run right out to the theater and see it. It’s perfect for those last-minute movie nights. You can also see all movies coming soon to theaters, so you can make some long-term plans for what to see down the line a bit. During peak times of the year, there are a lot of movies coming out, and keeping track of them can be tough. Fandango’s app simplifies the process. The theaters tab is where you see the closest screens in your area. When you click one it will show all the movies at that theater and give the option to buy tickets (as long as Fandango supports that theater). If you plan to travel, you can always choose a different location and find out what’s playing at your destination and at what time. You can also change the date and see what movies are playing. The distance in the future you can see depends on the theater. The app is also integrated with Yelp, so you can click a particular theater in the list and see an option to get Yelp restaurant reviews in the area. This should help you plan a full date night instead of just going to a movie. It’s definitely a convenient feature to have. Earlier I tested the extras in Fandango, and there are plenty of them. Once you see a movie you like, click on it, and you will be taken to a screen where you can learn lots more information about it. First, you will see a fan rating and a critic rating right at the top of the screen. It will also tell you the length of the movie, the MPAA rating, and the release date. Below that, you will see a “Trailers” button, which, as you can probably guess, is the place to see all the theatrical trailers for said movie. As you move down the screen, you will see three options. The first is showtimes, which tells you when the movie is playing at all theaters near you. Next to that is a button labeled “Cast + Info.” In here you can see who is in the movie, what genre it falls into, photos of the movie, the cast, and so on. The last tab here is called “Reviews.” In this spot, you can see what the critics, fans, and tweets have to say about the movie. On the bottom right of the screen is the option to search. If you know exactly what you are looking for, this is where you will want to come. Type in a theater, movie, or actor, and the app will give you exactly what you are looking for. You can also link Fandango with Facebook. Thankfully, they don’t force this on you like many other apps. If you want to do it, it’s available under the Account tab, but if linking is not for you, just ignore it and go on with enjoying the app. Fandango is one of my favorite kinds of apps. Why? Because it is always getting better. It’s been around since the dawn of the App Store, and yet, year after year, it gets new features. If you don’t have Fandango, go to the App Store right now and download it. You will be happy with your decision. Fandango has horrible customer service. Fandango did not refund our tickets because I didn't call 2 hrs before the show! If I didn't call 2 hrs before the show it's because we did plan to go to the movie. We were on our way to the movie when my brothers wife called his daughter was sick, so we rushed back home. My priority was not to call fandango, it was to get my brother back to LA from the valley to take his daughter to the hospital. Also, the person I spoke to on the phone was very unprofessional, her name is Shanik. She didn't care that I was stressed about my emergency situation. I asked to speak to a supervisor and she said she wasn't in. That cannot be true, as with every job, there is always a supervisor. I have been a fandango customer for over 10yrs, and this is the first something like this happens. It seems like this company has no regards to human life. It also seems they would rather loose a valued customer over $60. Don't buy from fandango, they don't care about life emergencies. You will lose your money if for any reason you can't make it to your movie! Its available only in the US?